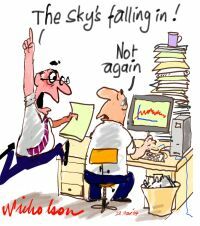 Uh-ho… The Swiss mega-bank UBS completed a survey of 80 central bank reserve managers yesterday. More than half predicted the US dollar would be replaced as the world’s reserve by a “portfolio of currencies” sometime in the next 25 years. That UBS even conducted a survey on the dollar’s validity represents a sea change in attitude since we first published Demise of the Dollar in 2005. Between them, the bank reserve managers control about $8 trillion. In another shift of strategy, none of the managers surveyed by UBS say they plan to sell gold over the next few years. A few even fessed they plan to add to their stashes of Midas’ favorite metal. The World Gold Council claims central banks are on track to make their largest annual purchases of gold this year since Richard Nixon “closed the gold window” in 1971 and cut the dollar’s last remaining tie to gold. 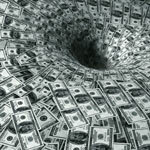 Russia and China are doing their part to accelerate the dollar’s demise. The two nations’ central banks have signed an agreement to conduct trade in rubles and yuan. “This agreement,” says Russian Central Bank Deputy Chairman Viktor Melnikov, “allows for settlements through Russian and Chinese banks not only in the freely convertible currencies but also in the yuan and the ruble.” It builds on a handshake deal between Russian President Vladimir Putin and Chinese Premier Wen Jiabao that we told you about seven months ago. “Dollar’s Reserve Currency Status at Risk Following Russia-China Deal,” reads a breathless headline on this story at oilprice.com. Some experts are calling for a Double Dip recession, while others are saying no recession just slow growth & inflation. In either scenario, gold stands a good chance of continuing into its run into the second decade of gains. 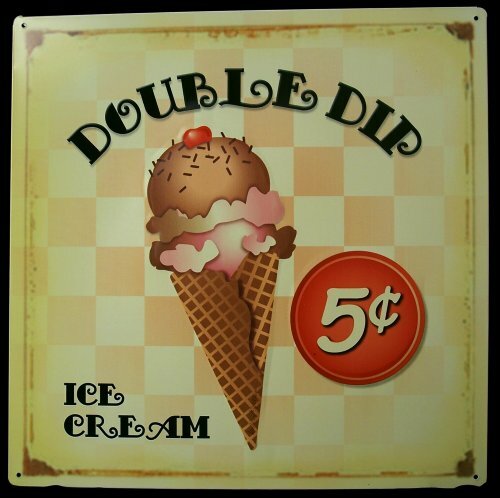 Paul Dietrich, chairman at co-chief investment officer at Foxhall Capital was quoted in Forbes, We believe there will not be a double dip recession in the United States because almost every indicator, except housing, is showing the economy is still growing—just very slowly. Of course, the National Debt looms as the 800 pound gorilla in the economic room. . With the US debt bubble still firmly in place, Dietrich stated further in Forbes, investors should expect oil, commodities, gold and precious metal prices to rise again later this fall after taking a breather over the summer. This is a glass half full scenario looking for the best in a horrible situation. During these times gold & silver generally continue to provide safe-haven investment for money managers, central banks & the savvy individual investor. 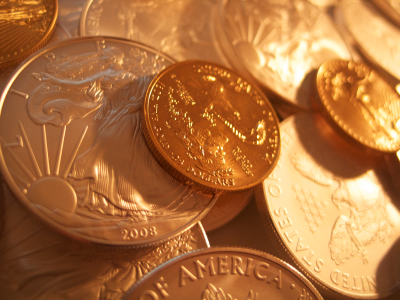 Whether you buy into the Double Dip or not, one thing you should not miss is the opportunity to buy gold & silver during the current retraction. Silver is the cheaper and more plentiful cousin of gold. Its used in a greater variety of ways than gold making the argument that its demand out-strips gold. Silver’s gain for this year out-strips the yellow metal by a margin greater than 2 to 1. The down side is silvers volatility in this current market. Silvers usages are from jewelry, silverware, biocides, solar panels, Electronics, to any other number of products. The last three items are where the major growth in silver use is taking place. In the last decade silver use in electronics is up 199%, use in solar panels is up 640% & use in biocides is up over 600% since 2002. Less than half of the silver in electronics is recovered and biocides is near zero recyclable. The cycle of silver in solar panels is 30 plus years. All of these are adding pressures on the demand of silver. With almost 20% of current usage in the market coming from recycled silver and continued increased demand will widen the gap as mining alone can’t keep up. Continuing to acquire silver on retractions as we have today is a great way to keep updating your Tangible Asset Portfolio. No matter what direction silver goes your long-term position will be determined by what you do today when the opportunity presents to acquire on a retraction. 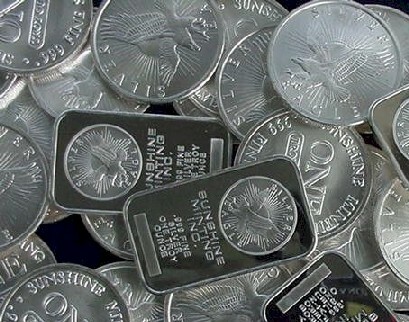 Read further: The Daily Reckoning – Are We Running Out of Silver? Gold is Falling, Gold is Falling! Martin Sosnoff chairman and founder of Atalanta Sosnoff Capital wrote in Forbes, In the current stock market, I can’t find any excesses for gold to feed off. The market’s correction is painful but orderly, like a pop up behind home plate. Gold needs another Black Monday to surface but won’t get it. Gold has no use other than insurance when things like the Dollar & Stock Market crash. That is a bad thing because? We have been telling you that for months, metals are financial insurance when bad things happen to good portfolios. I could go on to others but you get the point. Gold is cycling through the summer gearing up for the fall. Now during this current retraction is a great time to add or start a Tangible Asset Portfolio. Take the time to assess your position and make the call to buy as gold pulls back before the fall surge. The fundamental behind gold & silver are still strong as anytime in the last decade. In fact, they may be stronger just based on foreign demand from emerging markets like China & India. The Dollar, Stocks, Euro, Inflation are all going in the wrong direction. As well, the Central Banks acquiring more gold this year than they are liquidating it makes strong legs for metals to run on. The Dollar is rallying in the last couple of weeks but, it is still down 13% from the high of 86 in June 2010. Stocks are down almost 6% since the most recent high in April of this year. The Euro Debt Crisis is still causing a drop in the Euro and the markets there are off in the last month. The recent 2% decline in gold from its high in May makes it the best option of the previous investments. With the pressure being places on demand of gold by the Central Banks, China & India it gives the long term prognosis of metals a bright future. Where gold will end in 2011 is varied from an aggressive high of $2,000 to a more conservative $1,650; either way gold will cycle into a higher level outperforming the Markets & the Dollar for the year. All you have to do is figure out how much more you need to put into your Tangible Asset Portfolio before the next run. Another, not so good, report from Ben Bernanke & the Fed started a mini rally in gold this afternoon. The Fed is looking at the economy with a dual mandate: to foster maximum employment and price stability. It is with these in mind that they seek to cure the economic woes many of us are feeling today. 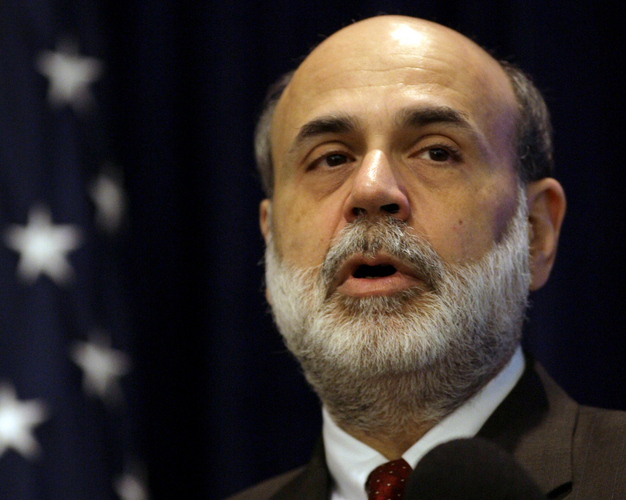 Once again Bernanke & The Fed are talking out of both sides of their collective mouths. Look at these contrary statements: The unemployment rate remains elevated; however, the Committee expects the pace of recovery to pick up over coming quarters and the unemployment rate to resume its gradual decline… Interesting, we saw a decline in unemployment in April only to be erased by May’s employment numbers. Then Bernanke addresses inflation: Inflation has moved up recently, but the Committee anticipates that inflation will subside to levels at or below those consistent with the Committee’s dual mandate as the effects of past energy and other commodity price increases dissipate. In other words, if you don’t count gas & food the remainder of the economic inflation numbers are right where we predicted. So America, stop driving & eating then the effects of inflation will be minimal. But we can be comforted, Uncle Ben is on the job: However, the Committee will continue to pay close attention to the evolution of inflation and inflation expectations. Great to know they are getting paid to tell us what we already know from our own wallets. Jobs & prices are both in the red zone causing the average consumer to reevaluate what & how they spend. All of this helped gold to pick up steam this afternoon. For the struggling Dollar many are turning to metals to help stave off the effects of inflation. Dennis Gartman publisher of The Gartman Letter told CNBC gold is the best long term investment, It’s still moving from the lower left to the upper right, and with the Fed likely to err on the side of easy money, expect the trend to continue. And you can expect us to continue bringing current information on the metals market guiding investors in the right direction with there Tangible Asset Portfolio. You are currently browsing the Mind Your Money blog archives for June, 2011.